If you are moving stuff from London to Edinburgh, there is no better idea then to hire an Edinburgh removal company to move your contents and boxes to your new house in Scotland. We specialise in London to Edinburgh Removals. We move customers to Edinburgh from London fairly frequently, and since we are local to Edinburgh, we can always help with unloading the following day, should that be required. Providing extra man power in Edinburgh for offloading, unpacking, setting furniture around the house, or for those extra stairs in our Victorian tenement buildings, is not any issue. 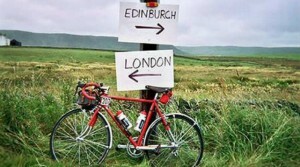 If you are moving stuff to any other Scottish city, please see our London to Scotland Removals page. We have been making these London to Edinburgh trips fortnightly , making us very familiar with the routes which alternatively means no unnecessary delays and also means we have vans coming up bringing part loads such as removals for students or a simple sofa being sent to a loved one. Needing a removal from London to Edinburgh or the Other Way Around? – Perfect! Also, take a minute to read the 11 Joys of moving from London to Edinburgh here! We would also workout cost effective compared to removal companies in London, simply because the distance traveled both ways is the same, but companies up north are cheaper then the removals services providers in London and suburbs; our cost of operations is cheaper than our counterparts in London. We take pride in being priced reasonably for our customers, and you will notice that in our quotes. You can fill in this totally free no obligation Quote Form and we can give you a price for your move. Don’t worry if you are not exactly coming up from London, we bring customers up from along the way like Birmingham or Manchester, and even from further away like Brighton, Portsmouth etc. Oxford, Wales, Cambridge and East Angelia are all covered just like the rest of the UK. 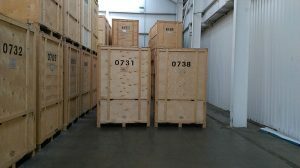 We also have a storage facility up in Edinburgh, just in case you cannot move in for any reasons like delays with keys or the previous owners not moving out in time, or simply you coming up to Edinburgh at a later time. It offers our customers peace of mind that there is backup storage available should things go wrong, and our storage prices are pretty reasonable too 🙂 check out our Storage Facilities Page for more details. For those of you who only have single items or a few boxes, but not enough times to make it worth while having a dedicated removal, part loads are the perfect solution for you. Unlike dedicated trips part loads are meant for smaller moves such as for students or just single item deliveries with more than one customer sharing the same van which also means you would require to be flexible i.e our choice of collection and delivery dates, however we can be flexible as well should you wish to have the delivery within a week or in the morning. We look forward to helping you with your London to Edinburgh Removal and don’t forget to read the downside about moving to Edinburgh. Happy Moving!